We’re going to try something different every month during one of the Top 5 columns. 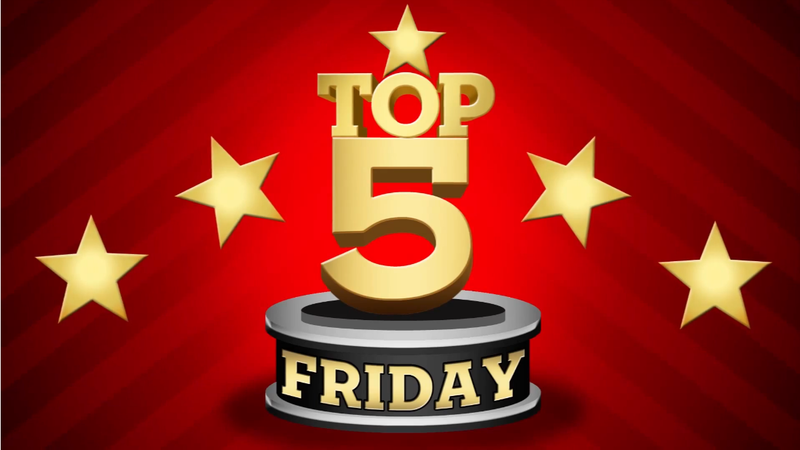 Moving down the IMDB (International Movie Database) Top 250 films, we’ll name the top five scenes (in my order) from films so good that our regular “My Favorite Scene” column can’t do them justice. Number one on the IMDB 250 is Frank Darabont’s adaptation of Stephen King’s novella; 1994’s The Shawshank Redemption. 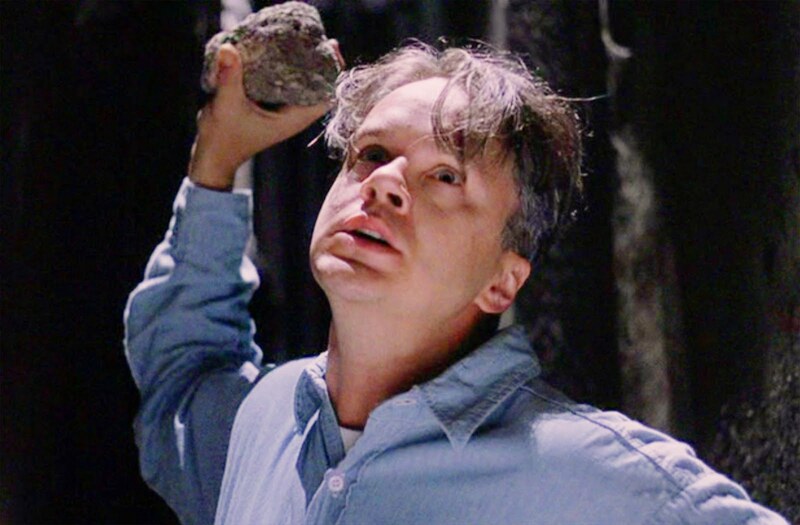 By turns brutal and beautiful; crude yet wise in a way few pieces of art ever attain, The Shawshank Redemption has grown and grown in popularity since it’s release twenty (WOW) years ago. A mark of one of the best is that it’s hard to separate out even five scenes because each seems incomplete without the others or worthy of inclusion. 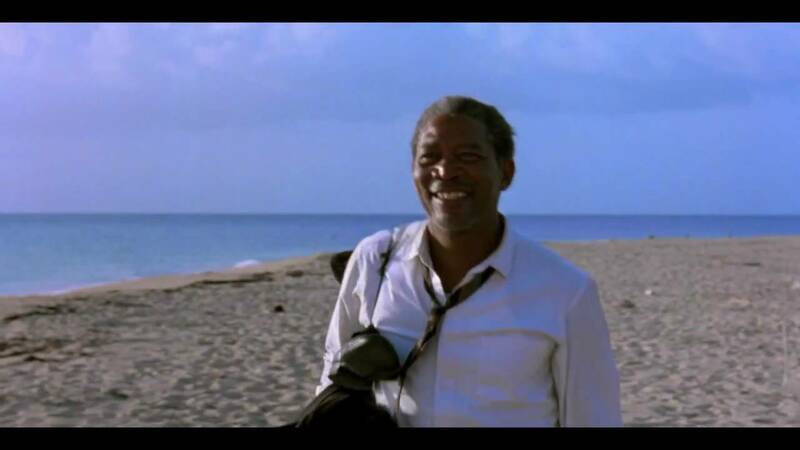 Here are my five that I wrestled with and chose from Shawshank. 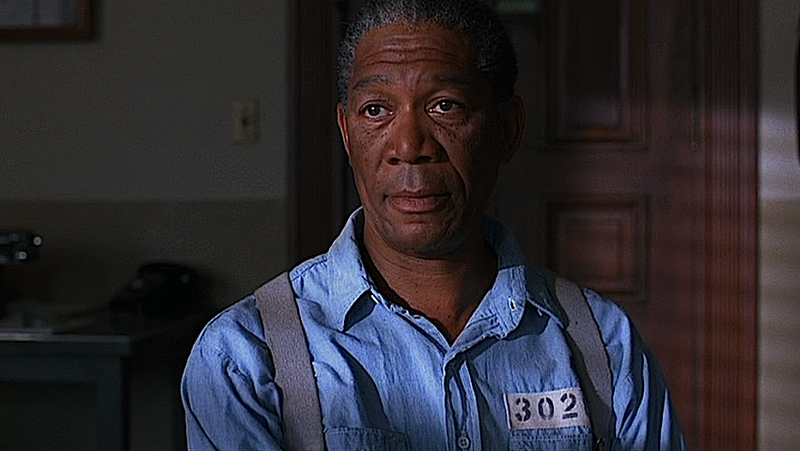 This was a recurring plot device to show both the changes that Red (Morgan Freeman) underwent in his decades in prison and the passage of time. 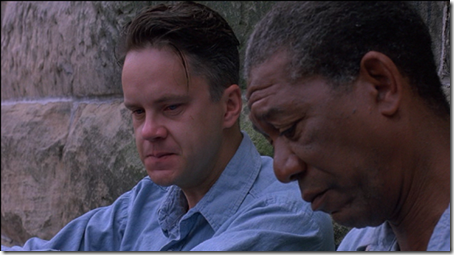 This occurs at the very end of the film when a weary Red is dragged one more time in front of the parole board and with withering weariness delivers one of the best monologues Freeman’s ever gotten. Probably the most memorable line from the film come in a conversation about dreams, anger, imprisonment, freedom and choosing how much we let anger master us against the balance of our dreams; something that imprisons more than enough people in the world walking free. I wish I could show the entirety of Andy’s escape and how brilliantly thought out it was, but it’s all about the horrifying, visceral journey he takes through offfal, emerging to be reborn in the rain in one of cinema’s most hope-filled shots. Everything in Andy and Red’s world is so abnormally awful that this scene where they volunteer for a work detail and Andy works a deal with the guards for beers for his guys that watching these prisoners relax in peace after working like dogs all day is fantastically peaceful. Andy didn’t even want a beer. He just wanted to see normal people doing a normal thing for once in his imprisoned life. Brilliant scene. “Institutionalized” is a phrase that comes up in the film. So meaning, that you live so many decades in an institution that the outside world has no relevance to you any more. 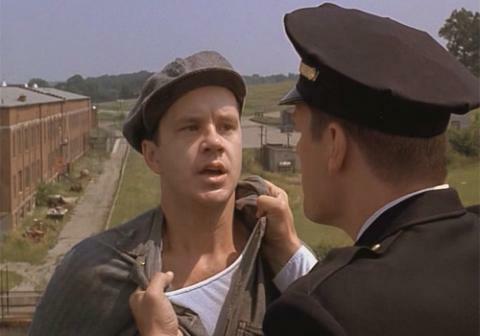 Red found him self institutionalized after he was set free, but Andy had anticipated this and their reunion, Freeman’s voiceover, just a perfect ending to a perfect film. Previous PostABC Reveals Renewed Series for 2014-2015 TV Season! Agents of SHIELD is Renewed and a Second Marvel Series is Coming!Next PostNBC Cancels Community After 5 Seasons; NBC 2014-2015 Schedule Decisions. It’s hard to believe a movie this good and this popular bombed on first release. I can’t argue with your best scene picks, but they all seem arbitrary to me, because every other scene of this movie is memorable. No, scratch that, every SINGLE scene is memorable. This was Stephen Kings’s greatest moment. Well, that’s what I was saying in the opening that when you have one of the greats, excising anything seems completely arbitrary, but that’s kind of my business lol. I just rewatched all those clips for the third time today. How Gump won versus this I’ll never know. Gump is wonderful but Shawshank Redemption is ten times the film. It comes very close to perfection. Robbins, Freeman, Darabont and the film should have all won. This has become one of EVERYONE’S favorite movies over the last 20 years. Word on the street is that Han is getting a major send-off in Episode 7, that he’ll be in it a lot more than the other two. I wasn’t expecting that, and to tell you the truth I’m thrilled. This has the potential to be EPIC. he OT gained weight over the years, something I’m not sure Lucas understood with the prequels. He was still in his Buck Rogers mindset from 1977, making sort-of goofy films for kids. But Abrams understands that we all built up the OT into an actual myth in the years after 1983, and maybe, instead of simply aiming these movies at kids, he will take into account that the fans have all aged, and want something that speaks to them now. Sorry, I’m typing a lot and I’m completely off-subject, but I’ve never been so excited about a movie in my life. Lol I was going to post on this but it was going to read like that. Ford will have co-lead status. How confident are you? Should we be taking this with a grain of salt? Because everything about this story fits. I’m sorry I doubted Abrams. And I’m sorry I didn’t realize how much Ford cared about Indy and Han. If all of this pans out, he’ll be my new favorite person in the Verse. At press time, several roles have yet to be filled, including a major female lead. Michael Arndt’s initial script has been significantly overhauled by [J.J.] Abrams and [Lawrence] Kasdan, which led to a delay in casting. Hamill, Fisher, and Ford had been secured to return for Episode VII before the Disney sale in 2012. So Ford has been committed to doing this for two years now. I think he cares about the legacy of the characters, Indy and Han, but with Lucas solely in charge I think he felt resigned that nothing was ever coming of it. I think that’s why he’s back and he’s back to do what he wanted to do with the character in 1983. If the Indy contingency as part of his deal is also true, I think he wants to close that character’s legacy (under his watch at least) out in a better way than taking a long dirtnap in a fridge with some gophers. Yes, I think it’s extremely plausible and as credible as a non-confirmed report can be. You know… I always thought it was strange that Ford always said he would never return as Han Solo under any circumstances, yet as soon as the opportunity presented itself he signed on. He always struck me as being too down-to-Earth, too plainspoken and honest, to do a total 180 as soon as the sequels were announced. What has changed? George. George is no longer in charge, you hit the nail on the head. Ford once said that the reason George did not want Han killed off was because it might hurt action figure sales, and whether that is true or not, the fact that Ford said it reflects grave misgivings on his part about Lucas’s management of the franchise. In fact, there was no reason at all for Han to be rescued from Jabba’s palace, because he has no function in ROTJ after that. I’m sure Ford was miffed at the way his character was watered-down and superfluous. Yes. This makes perfect sense. He’s got an earring, and he married Calista Flockhart, but compared to everyone else in Hollywood he’s a sage. When Han dies, a lot of grown men are going to cry. These are all wonderful scenes, I agree, but there was something so meaningful about the scene when Andy played that operatic piece over the intercom. It seemed almost freeing in the elation it brought to Andy and the rest of the inmates. Arrgh, right? That was the last one I had to cut and it is similar to the beer scene in how he takes the prisoners out of their world for just a second and reminds them of a thing from LIFE. So I had to keep one or the other and I flipped a coin, but you’re totally right. then there is also that marvellous scene about the music allowed to shine all over the prison by Andy! I’ve gotten this question before, and the reason why I left it off is that it’s very close to the rooftop beer scene in that it’s a scene that reminds the inmates of the beauty of normal life. I picked one; I easily could have picked the other, but when you have that movie, you could easily pick 20 more. or forty more or even a 100! I was lead into Shawshank Redemption when I went to join my first video library! The woman who owned it was horrified to know I hadn’t heard of it and that was my first rented video!